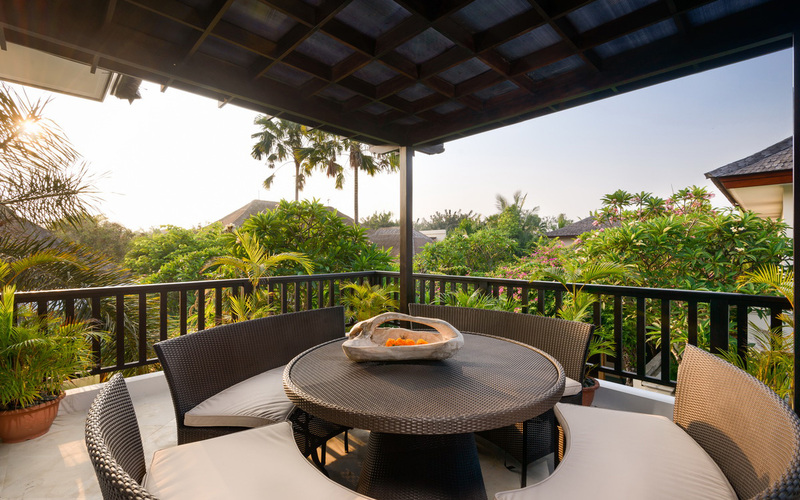 From $ 606 $ 516AUD per night We have direct contracts with most villa owners. We don't add any booking fees. We are 100% transparent with no nasty surprises. 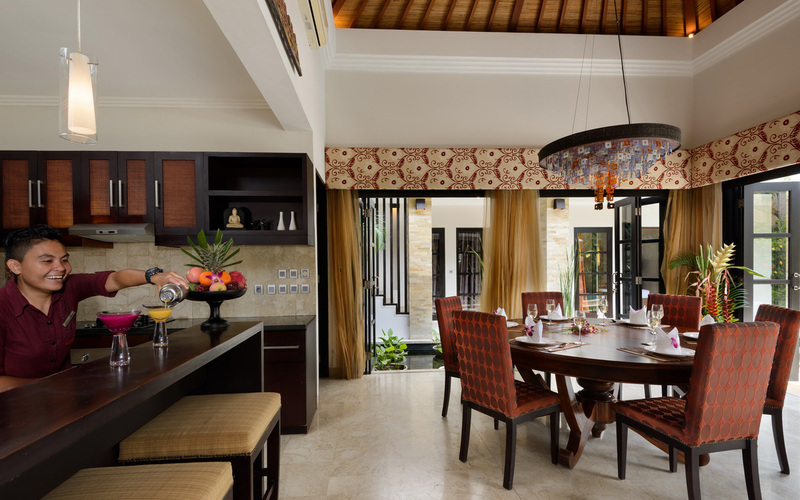 If your looking for a villa that’s in one of the best positions in Seminyak, then Villa Amman is perfect. 100m from everything: Jalan Kayu Aya (Eat Street), Petitenget and Oberoi and right there. 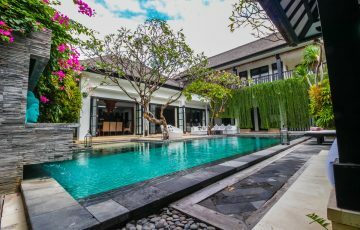 Villa Amman is a 4 bedroom Seminyak villa holiday rental & is ideally located in a fabulous Seminyak location just one block back from the most popular tourist strip, Jalan Oberoi, “Eat Street”. 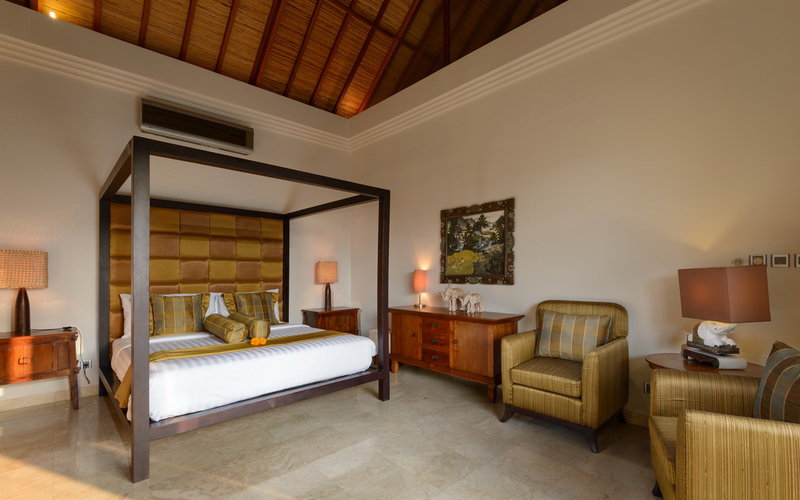 Guests will also enjoy peace, quiet and security of the the villas private estate. 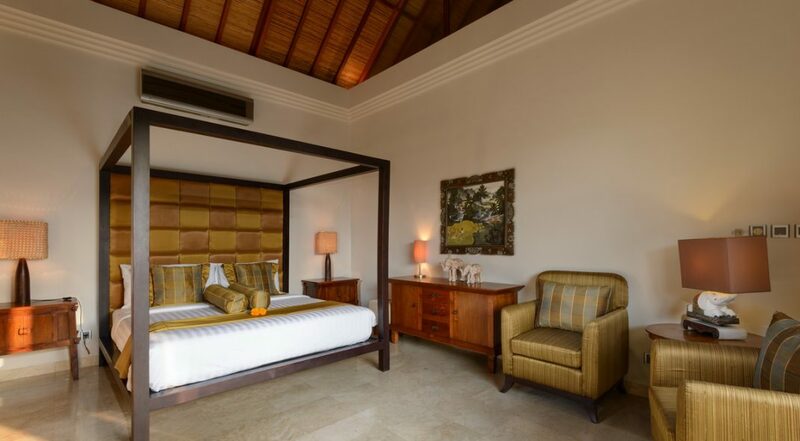 Fully staffed, the villa has 4 bedrooms and sleeps up to 8 guests. 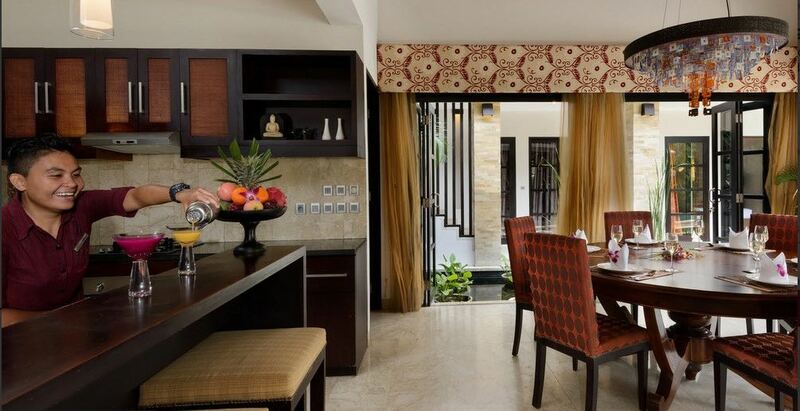 This is the perfect holiday home for a family or group of friends wanting to be within walking distance of all the most popular tourist attractions; lots of fun, excitement, shopping and eating great food when you stay at Amman. The alluring crystal clear waters of your private swimming pool will be welcomed after exploring the array of boutiques and great cafes just minutes from the villa. 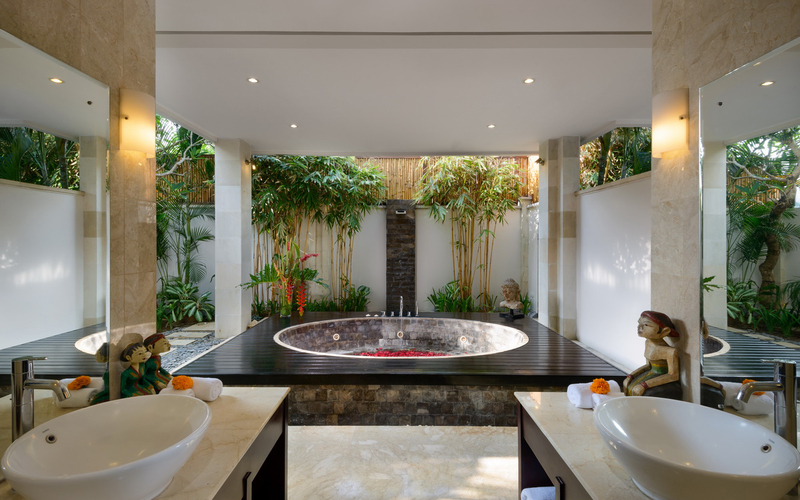 With the peace and quiet of a private villa complex, time by the pool will be enjoyable and relaxing. 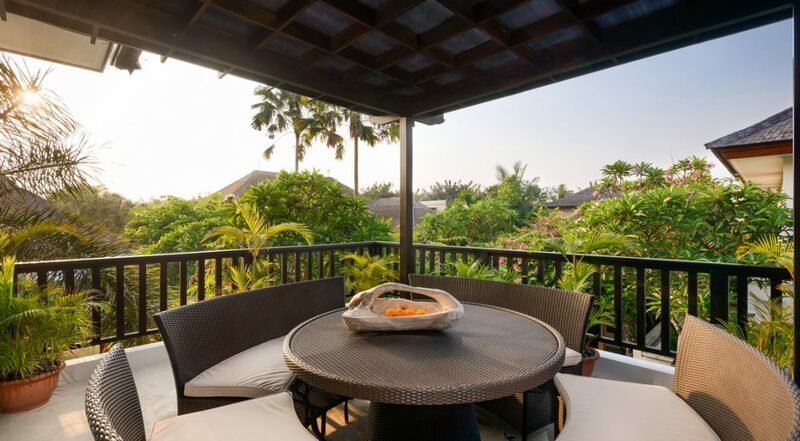 The garden offers exotic greenery, tranquil koi ponds, fragrant frangipanis and vibrant bouganvillea. 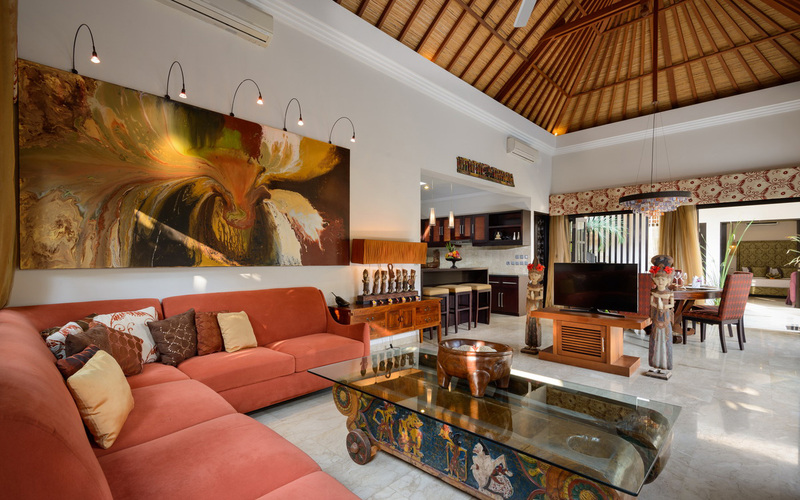 It’s the perfect place for the family to come together, hang out & really enjoy what it’s like holidaying in a private villa. 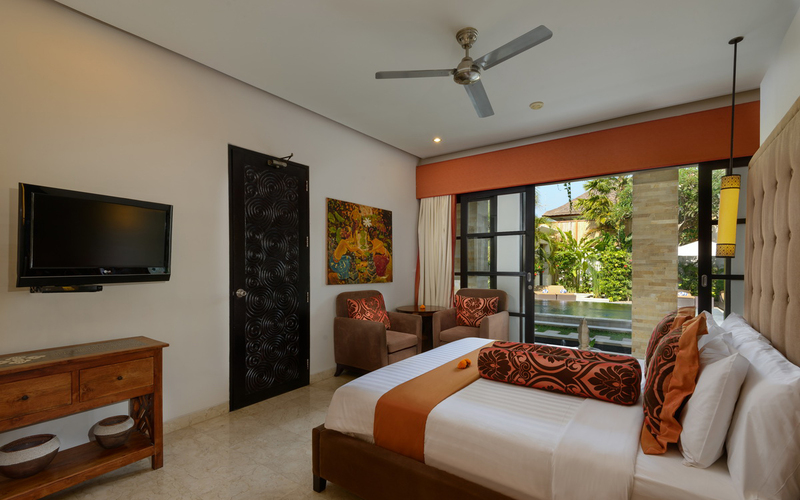 The living areas high vaulted ceilings and ceiling fans ensure a cooling flow of tropical breeze should you wish to enjoy a tropical living environment, alternatively enjoy air-conditioned comfort. There is a large L-shaped sofa and comfy armchairs in front of the plasma TV. 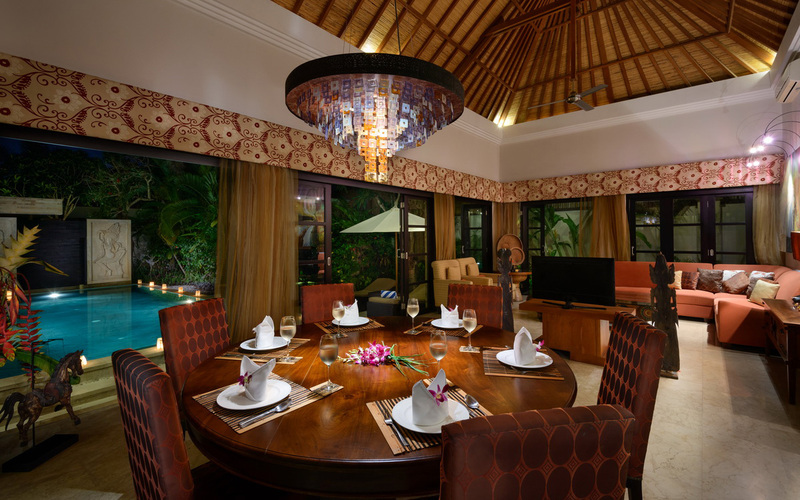 Meals can be enjoyed at the circular dining table prepared by your personal chef. 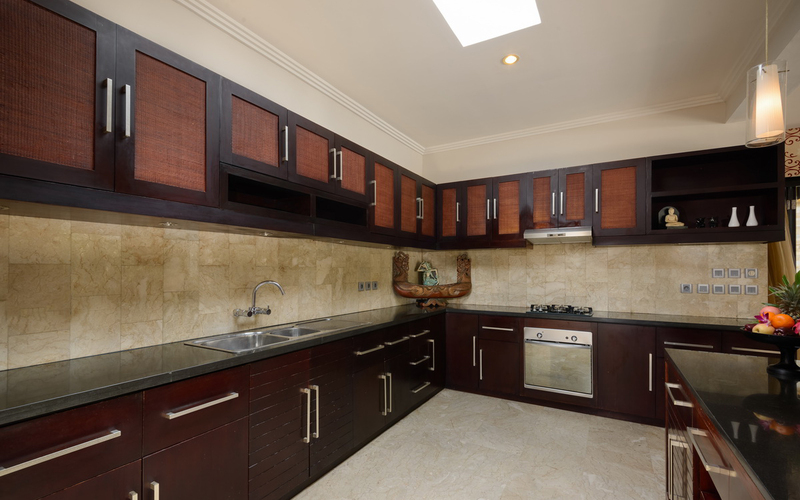 The kitchen has everything you will need to look after all your catering needs. Set your own holiday vibe with the surround sound system and iPod docking station. 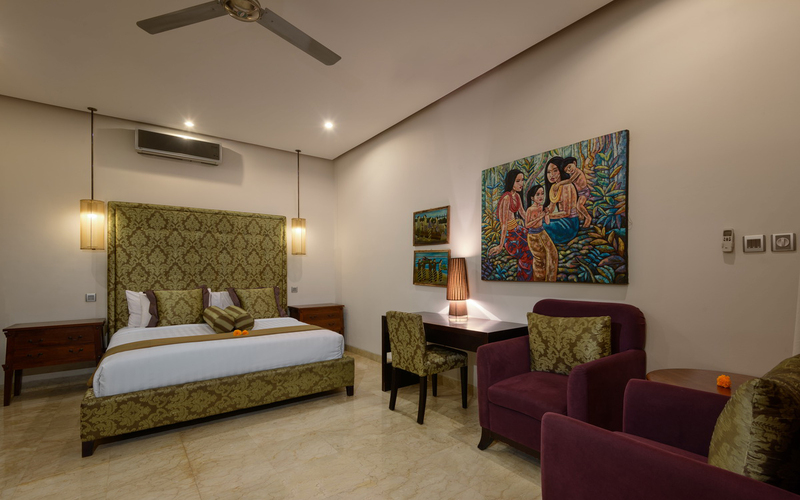 Four modern bedrooms are decorated with traditional artworks, premium king size beds ensure restful sleeps and you can choose AC or ceiling fans to keep you comfortable by night. There is plenty of wardrobe space, wall mounted plasma TV’s and DVD players. 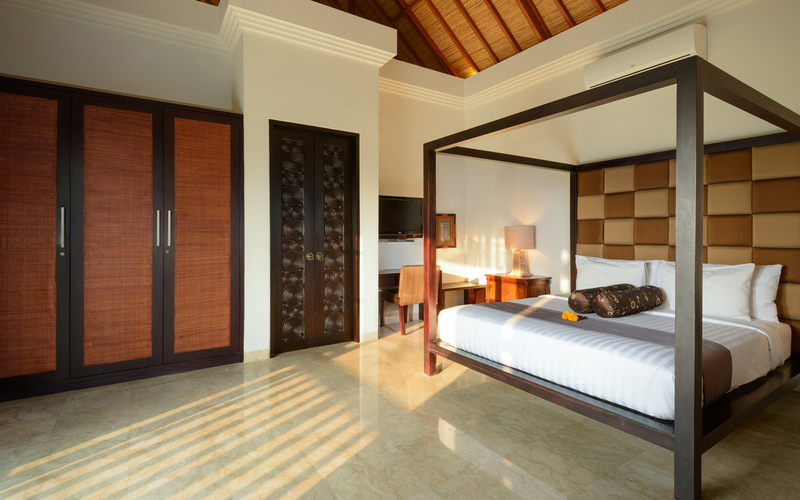 The master suite boasts a large jacuzzi and walk-in robe for all your belongings. 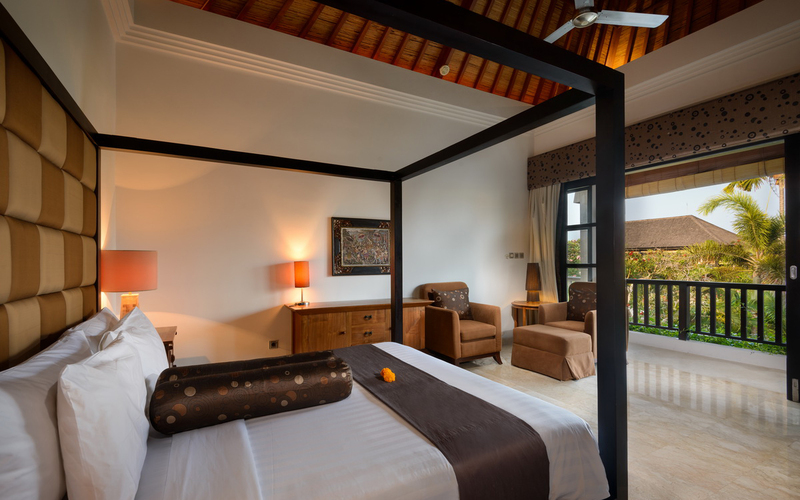 The Villa staff will make you feel completely relaxed and take great care of you during your stay. 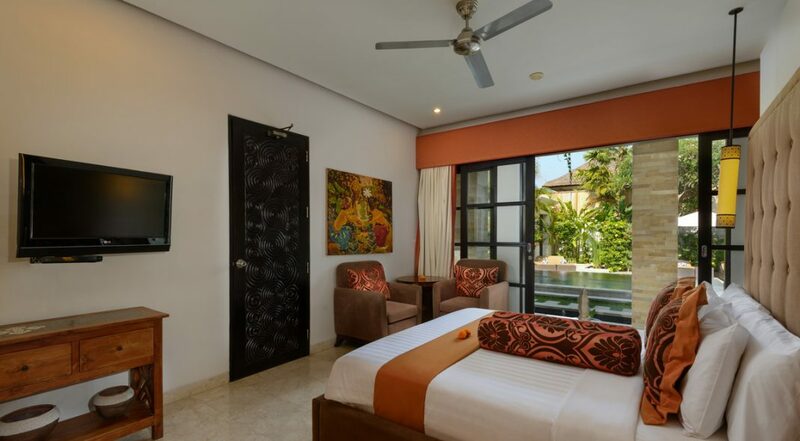 The complex is serviced by a team of warm and friendly staff, just pick up the phone at any time and they will attend to all your needs from food and beverage service to transportation bookings or maybe in-house spa treatment or massage – now this is what a holiday should be like! 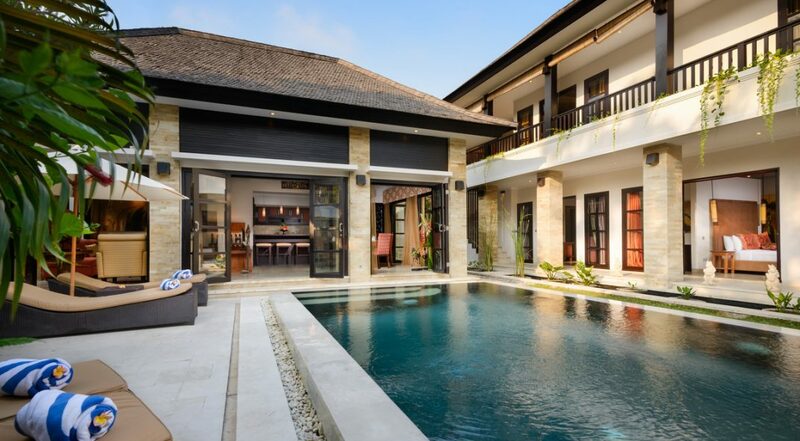 The villa complex is just a few hundred meters from some of Seminyak’s best restaurants such as Ultimo, Settimo Cielo and the Champagne Bar for a few happy afternoon bubbles. 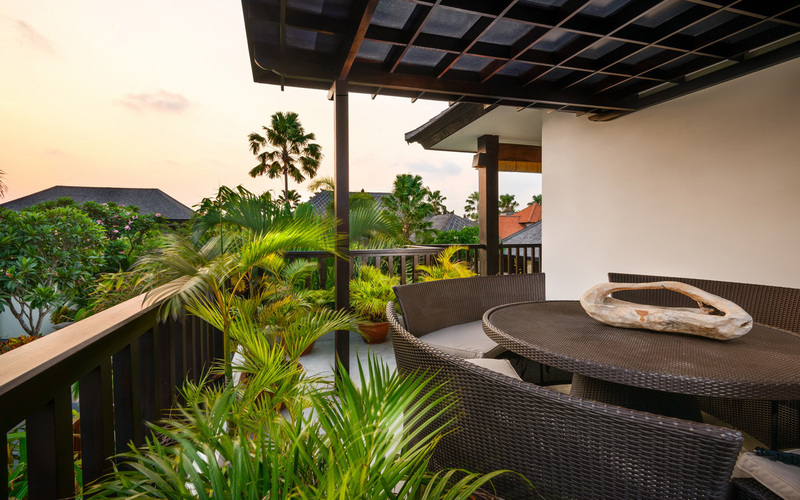 You might also like to watch the sunset at Ku De Ta or Potato Head, which is in easy walking distance. These are really popular beach clubs & definitely worth a visit! You can walk to the beach in around 15-20 minutes, along the way you will pass more popular eateries including Sisterfields, Mexicola and La Lucciola right on the beach. If you feel like a coffee along the way make sure you try Sea Circus, Pison, My Warung or the popular organic cafe Kynd. 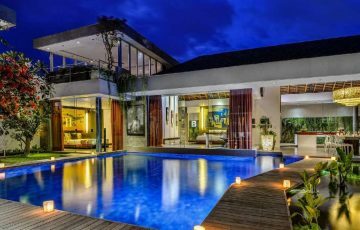 If your coming with kids then Seminyak Square and Seminyak Village are all nearby with loads of places to take them for a meal. If you want to keep up your yoga make sure you head to Jiwa yoga and for those that want to work out there’s Soham gym. 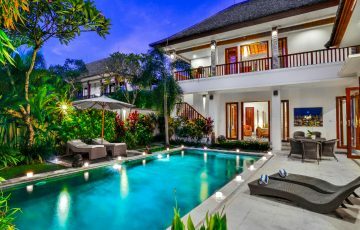 To view other 4 bedroom Bali villas or our complete range of Seminyak villas in the same area please browse this website or contact our reservation team. 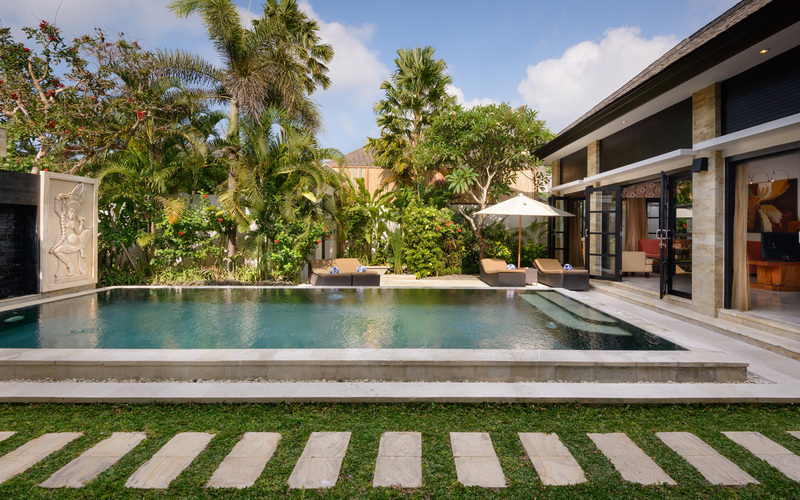 Villa Amman is a popular Seminyak holiday villa so if your planning a holiday Bali, especially during the Australian school or public holidays please book this well in advance. We spent a fabulous week here over the Christmas/New Years period with our family of 6 and had the most amazing experience. 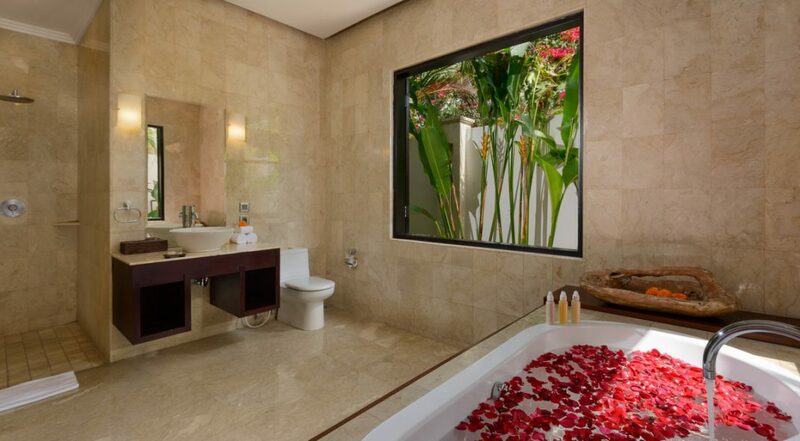 The villa was absolutely charming with large very modern bedrooms and gorgeous en suite bathrooms. 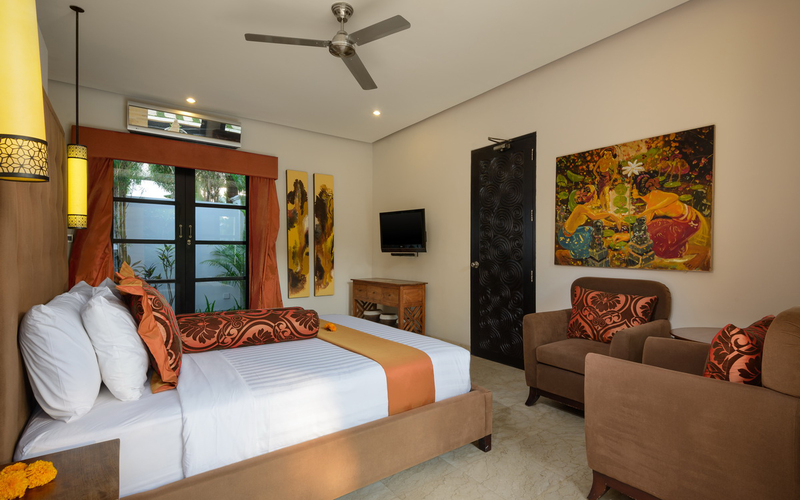 The villa staff were incredibly friendly and made sure we felt at home as soon as we arrived and their hospitality continued throughout our stay. The location was perfect and close to all those great restaurants and shops we heard about and were told to visit. They were all within walking distance and we took advantage of this by going out every night to try a different restaurant. 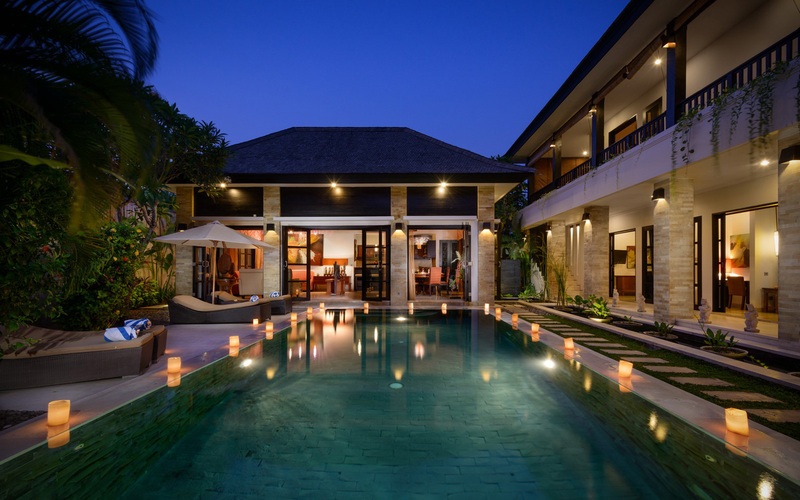 We would highly recommend this villa to any family or group wanting to be in the thick of the action of Seminyak, while also having a bit of holiday luxury - it easily gets a 10 out of 10. Loved the location and the price made this villa a winner for our group of 6 that spent 10 days here relaxing and enjoying the villa's atmosphere and relaxed vibe - the best part for us was not only the great location but the space and privacy that each of us had - we will certainly be coming back next time. 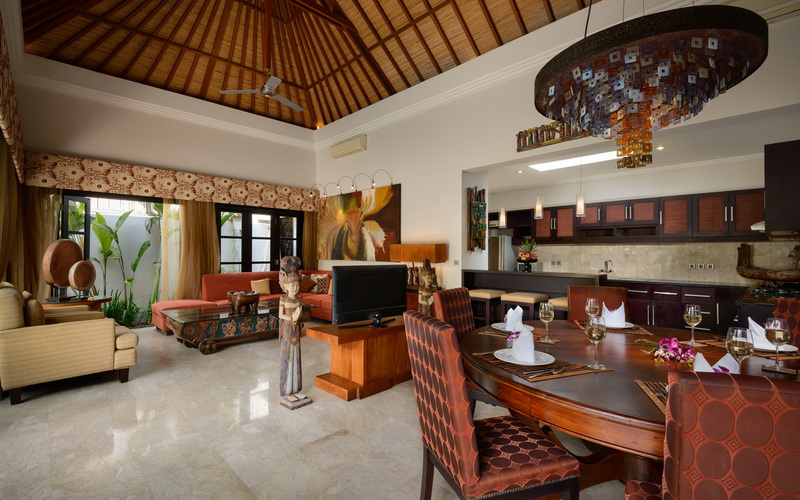 Fantastic location, gorgeous villa, spacious and simply perfect for our family. The villa butler Komang was also a highlight; friendly, polite and able to organise dinner reservations and tours for us. 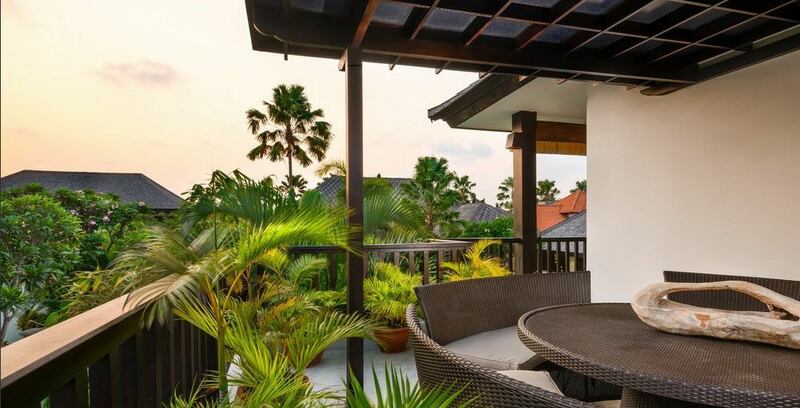 All up, a great holiday villa that's worth every cent. 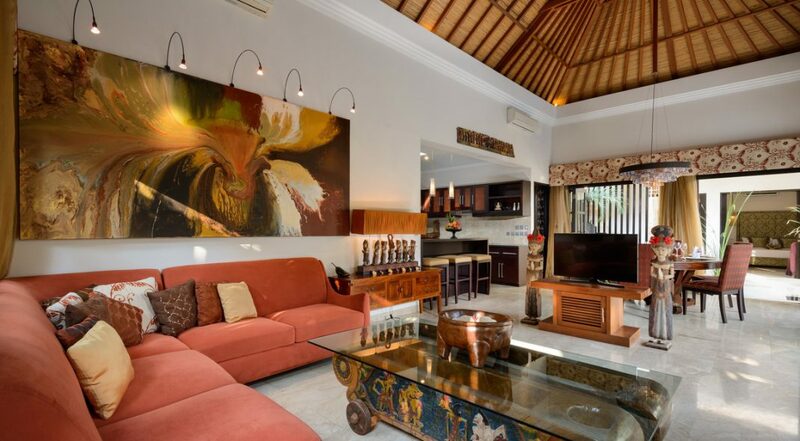 A wonderful holiday villa in Seminyak. 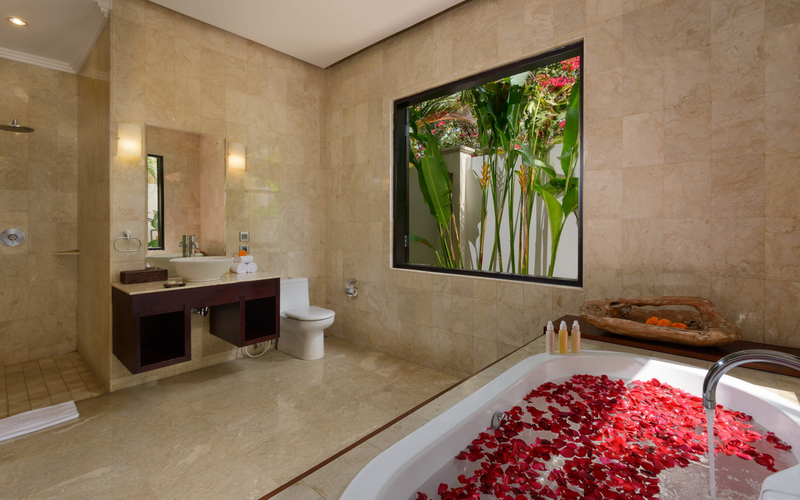 The villa staff were exceptionally friendly and made our stay even better by their attentive service. They cooked breakfast for us every morning before we left exploring the area and even went out of their way to get us groceries when we needed them - especially snacks for the kids. 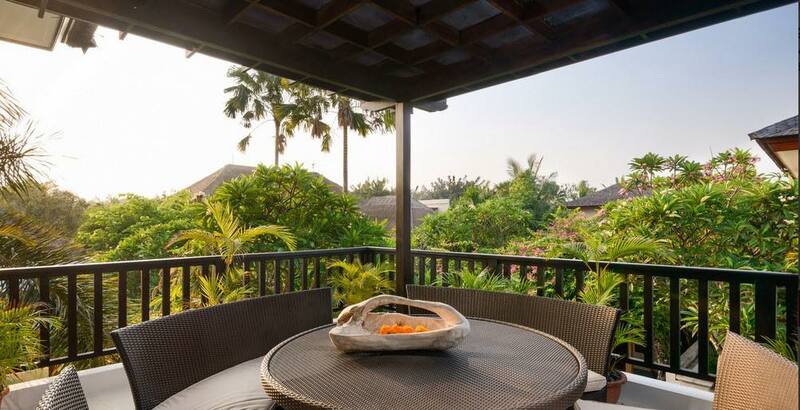 Overall a lovely villa with decent facilities and modern and very clean interiors. 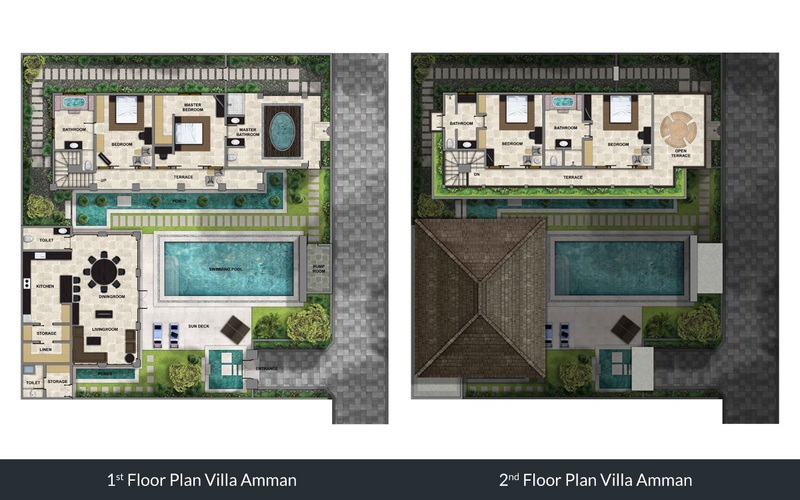 Happy to recommend Villa Amman for its value, location and ambiance. It was so great being in this location - restaurants and shopping was all outside the villa. Sisterfields, Seminyak Village, Motel Mexicola, My Warung, Cafe Bali...you name it, we could walk to it!! 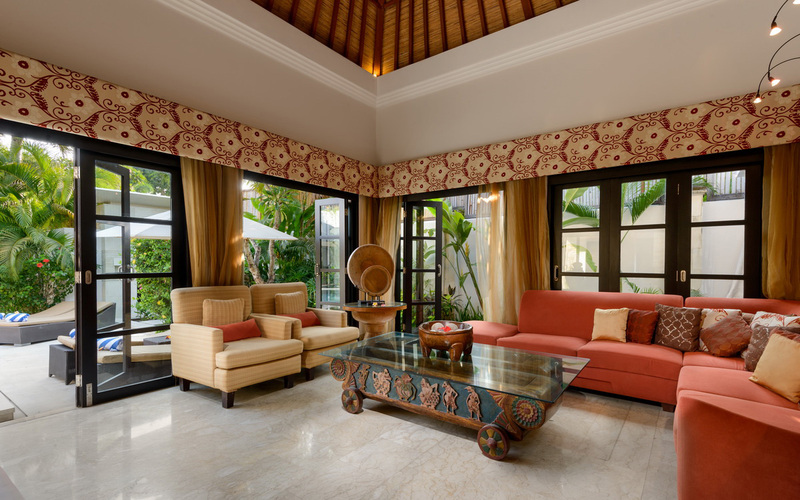 The staff were very helpful in getting us around Bali and keeping the villa clean and tidy. I would highly recommend a stay with them.